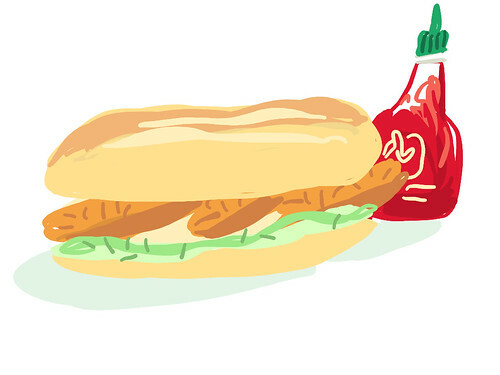 Fish Finger Sandwich, originally uploaded by Lobstersquad. the Fish Finger Sandwich. Awsome. Posted by lobstersquad at 9:50 p. m.
Steph: mmm, yes, that would be the real thing, then.